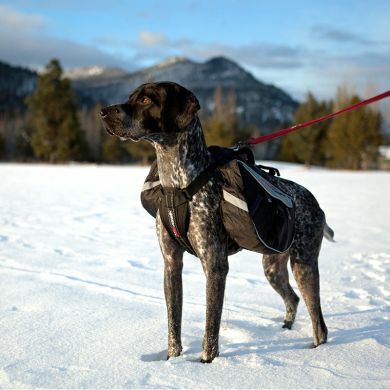 Built upon EzyDog’s award-winning Chest Plate Harness the Summit Backpack chest plate will mould to the shape of your dog’s chest to give your dog a very comfortable fit. 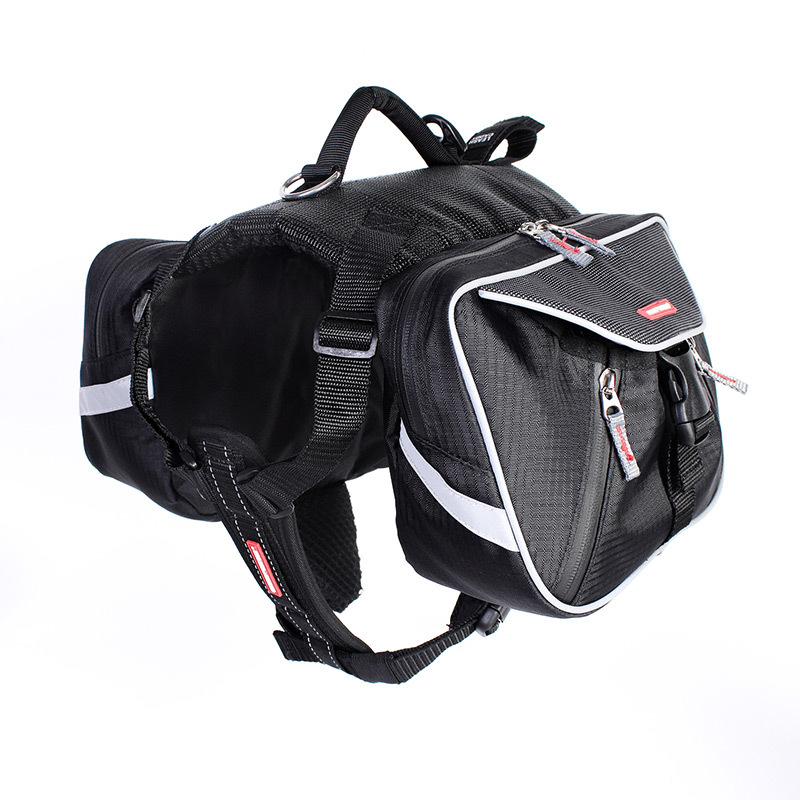 There are two main compartments give you ample storage space and the zips are fully waterproof so when you’re out in the wet the stuff inside remains dry. A great feature! Nothing worse than opening your zips to find a sopping load. 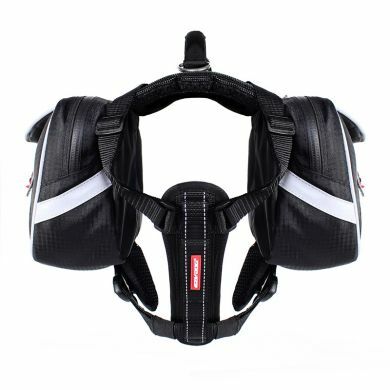 The grab handle on the top gives you quick and convenient control at moment’s notice. Walking at night time? 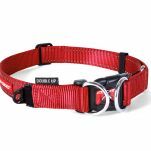 The reflective trim will keep your canine safe & visible. 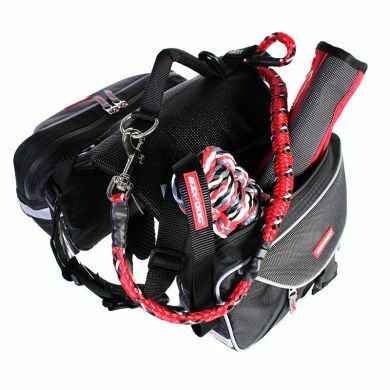 There’s even a leash caddy where you can store your leash while you’re on off lead adventures. 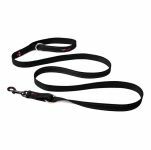 You can always attach your leash to the D-Ring on the outside when needed. How much do the Summit Backpacks hold? Choose the size where your dog fits most in the middle of the range for that size. See complete size & fitting instructions above. IMPORTANT: Do not over-tighten the straps. When fitted properly the backpack should be snug, but two finters should easily fit between your dog and the straps. This backpack fit my Husky very well, she was able to move freely and did not seem agitated by its presence. We undertook some hiking over a number of days in some rocky terrain and the pack withstood some harsh treatment against rocks and branches. The only issue was during steep downhill descents where the pack would lift slightly up over her neck and base of the head. However, we were still happy with its quality. 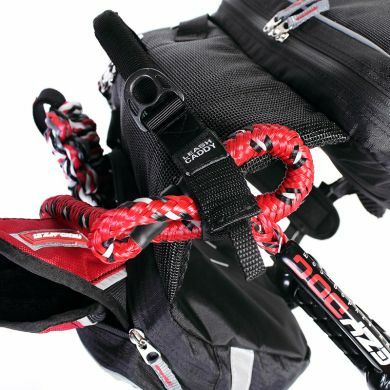 Read 4 customer reviews of EzyDog Summit Backpack. The average customer rating is 5. This was a last minute Christmas gift and thanks to Waggle’s super fast processing and postage I received this faster than other products bought from other companies on the same day. The EzyDog summit backpack is exactly what I wanted. It’s great quality and sits comfortably on my dog. I would highly recommend Waggle to everyone who wants good quality dog products with fast processing time. This product is so great - durable and sturdy and really well made and easy to use! 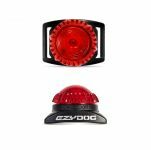 My dog LOVES it and it is really great (as she is a high energy dog) to have an option that will actually tire her. 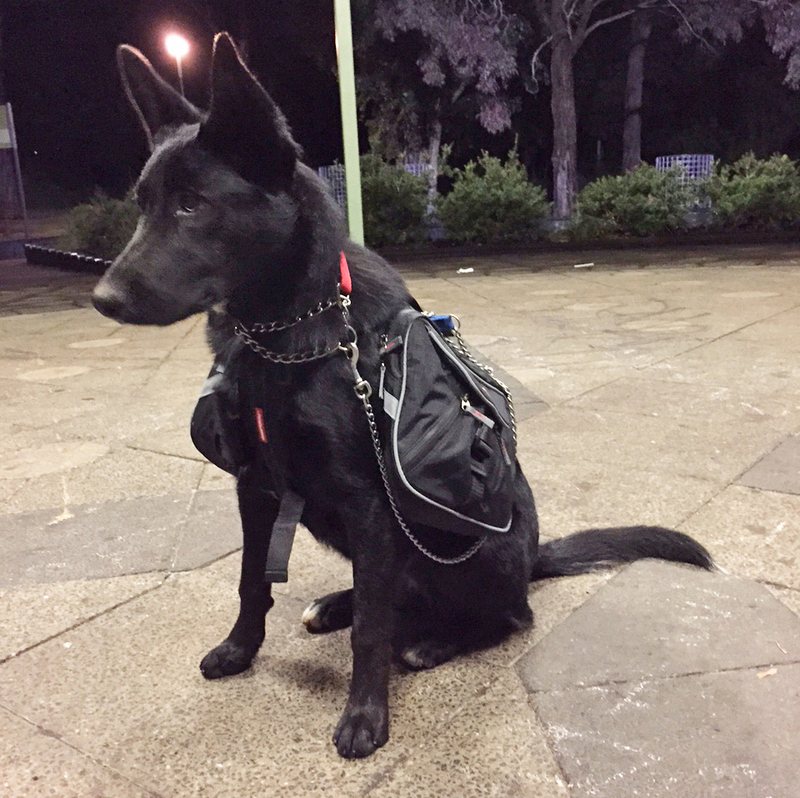 I also find she is much more focused on the walk when she wears it (she has a strong hunting instinct), better behaved and calmer - like she knows she has a job to do! Will definitely use it on some longer hikes too where she can carry some food and water for herself. It took her only 5 minutes of getting used to where she thought it was a bit weird but since then she is totally happy wearing it.